Very well kept in private wine cellar. 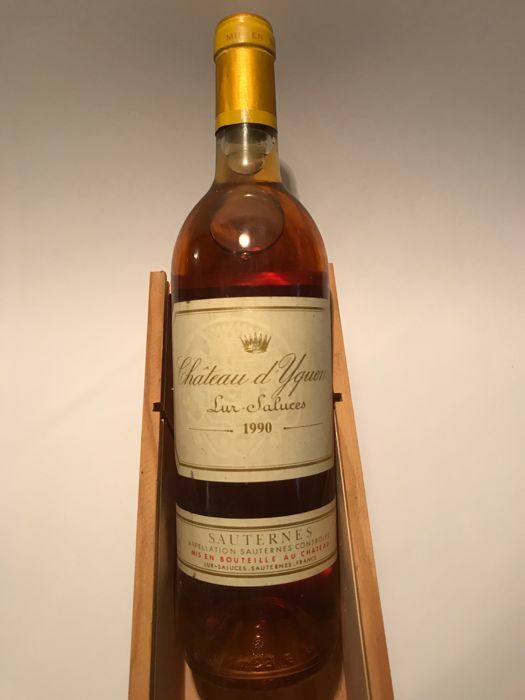 "An extraordinary effort, Yquem's 1990 is a rich and fabulously superb, sweet wine. This wine also possesses lots of elegance and finesse. The wine's medium gold color is accompanied by an exceptionally sweet nose of honeyed tropical fruits, peaches, coconut, and apricots. High quality, subtle toasty oak is well-integrated. The wine is massive on the palate, with layers of intensely ripe botrytis-tinged, exceptionally sweet fruit. Surprisingly well-integrated acidity, and a seamless, full-bodied power and richness have created a wine of remarkable harmony and purity. Certainly it is one of the richest Yquems I have ever tasted, with 50-100 years of potential longevity. 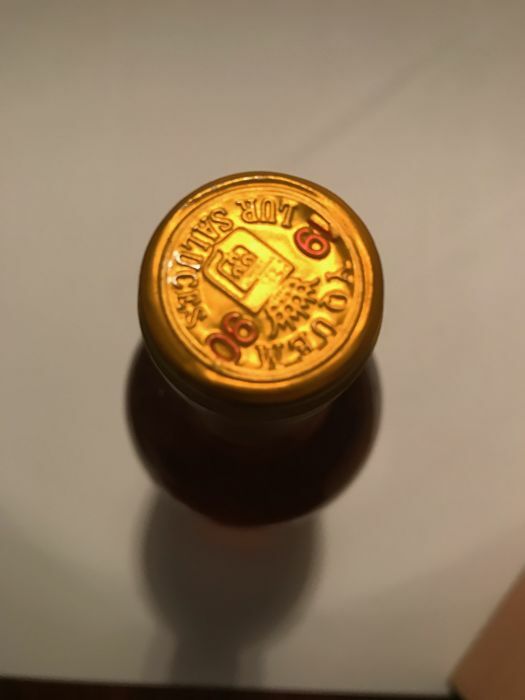 An awesome Yquem! 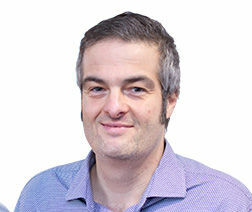 Anticipated maturity: 2003-2050+." "Tasted at the Grand Cru Classe opening dinner at Haut-Brion. 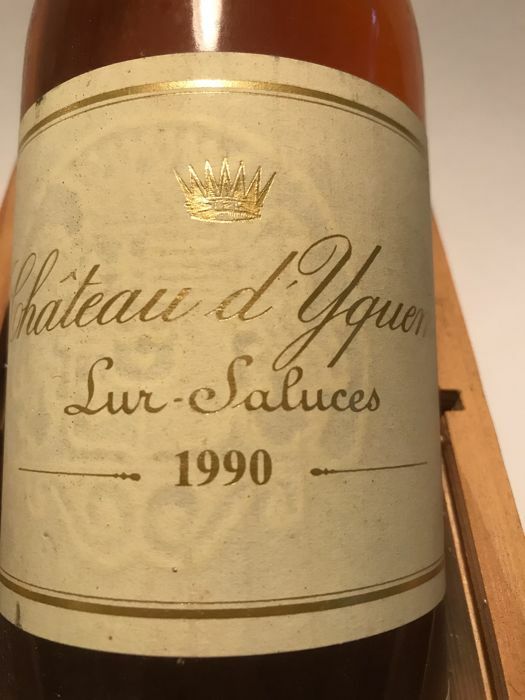 Still a glorious Yquem when you can find a good bottle, this one has a stunning bouquet with honey, candied orange peel and white flowers, extravagant and showy. The palate is viscous on the entry, very complex with that acidity perfectly in tandem with the mellifluous, pure, honeyed fruit. It just seems to expand in the mouth. Superb. Decadent." Attention emballage un peu léger. Merci bien tout de même ! Puoi ritirare questo lotto direttamente presso il venditore: S-Hertogenbosch (Noord-Brabant ), Paesi Bassi.